I mentioned in my DC preview for the week that Batgirl was my most-anticipated book. I’m sure it was for a lot of fans familiar with Alan Moore’s The Killing Joke, which is a book that brought many readers into comics in the first place. To give away a long-since known spoiler, Joke culminates partially in Joker shooting Batgirl Barbara Gordon, paralyzing her from the waist down. 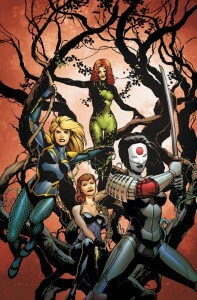 Rather than becoming a disabled background character, she rose to even greater prominence as Oracle – a master of information, frequently a team leader, and truly beloved by fans. 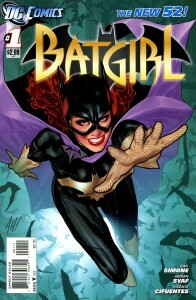 Batgirl #1 reverses all of that, with Barbara back in the bat costume – presumably for good. How would consistently strong scripter Gail Ann Simone explain this continuity-shattering change? Could the book sustain the weight of expectations to be DC’s premiere new female superhero, especially with the sumptuously illustrated Batwoman on the schedule just a week later? I saved the issue until I was through reading half this week’s haul, nervous it would be bad – or, even worse, just okay. Was that the case? And, is there anything to this rumor that Batgirl #1 is selling-out around the country, and might wind up as one of the top-selling comic books of the year? Why? Because it is total smooth sailing. 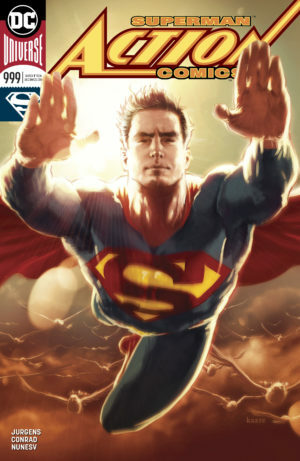 Unlike similarly outstanding Action Comics #1, this is not rife with panels you need to read and re-read, squinting for new details or oblique hints in the dialog. It’s easy-going – almost simple – with a dynamic, flawed, and sympathetic hero who is all too human. Sometimes “easy” and “simple” are hard to identify as “amazing.” It was only on second, third, and fourth read that I realized this is the real deal. It is a pitch-perfect debut that doesn’t rely on any big shocks or gimmicks. 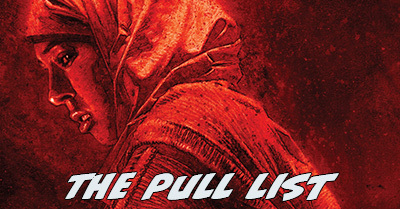 Simone, Syaf, and Cifuentes deliver a strong issue that stands well on its own and makes owning the next one a necessity. The plot, script, and artwork are perfection. Particularly, the narration and dialog are outstanding. When it comes to putting words in heroes mouths, few writers today do it better than Gail Ann Simone. 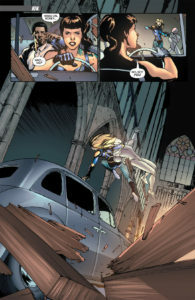 For readers wondering how the previously wheelchair-bound Barbara Gordon is retconned back to her feet, Simone handles it efficiently without completely sacrificing longtime fans’ attachment to Barbara as Oracle. If anything, she leverages the twenty years we’ve spent reading Barbara as disabled to make her more compellingly human.